Morton Photonics (MP) is developing a radically new and disruptive technology and system architectures for Receive mode Phased Array Sensors (Rx-PAS), enabled by large scale integration (LSI) PIC devices currently beyond the state-of-the-art. 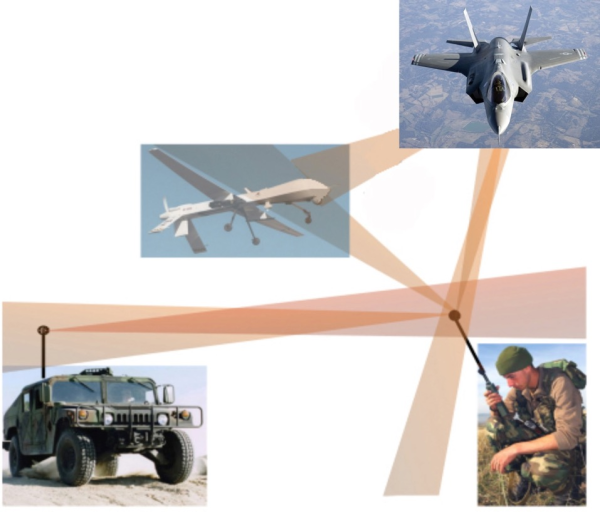 The optical architectures of the PIC enabled Rx-PAS systems offer unique capabilities that cannot be achieved in electronics only implementations, leading to a revolutionary new generation of Rx-PAS systems, key to spectrum supremacy. MP has been developing integrated photonic devices and working towards LSI-PICs to enable Phased Array Systems for over a decade; from early DARPA funded research on optical true-time-delay (TTD) devices and linear integrated modulators, through DARPA and Air Force device funding for ultra-low noise lasers, and integrated isolators/circulators, to the Air Force system focused program, 'Simultaneous RF Beamforming Phased Array Sensors through Wafer Scale Photonic Integration' (SimBeam). Advanced components and PICs are fabricated on the Bowers/UCSB Silicon Photonics Platform including heterogeneous integration for additional materials. Tremendous Bandwidth (200THz carrier) compared to microwave signals (50GHz); a low % bandwidth. ​The SimBeam program takes RF outputs from a Receive mode array of antenna elements, which provide the RF inputs to the photonic system. 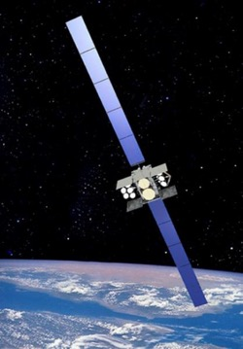 The optical architecture provides for high SFDR, low Noise Figure (NF), and Multiple Simultaneous RF Beamforming - effectively providing multiple independent RF beams that each use the entire antenna array. 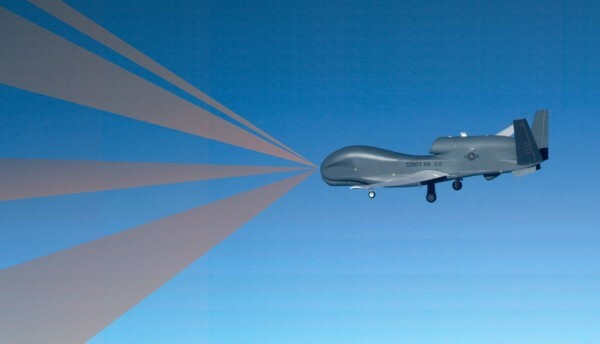 A schematic of this Multiple Simultaneous RF Beamforming approach added to an Unmanned Aerial System (UAS) is shown on the left. A schematic of the SimBeam system is shown to the right. 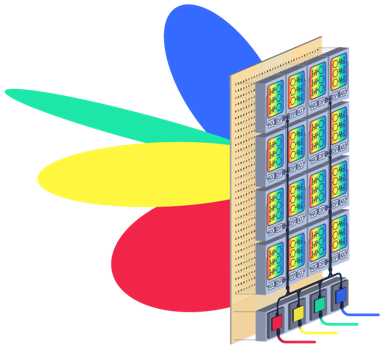 Multiple-Channel Simultaneous Beamforming (MCSB)-PIC devices are packaged within MCSB-Modules, which are tiled across the back of a Phased Array Antenna. Photonic processing creates the different RF Beams, providing additional capabilities through the unique photonic architecture. A successful implementation of the MCSB-PIC enabled Rx-PAS system requires high performance for each of the individual components, plus integration of the individual components in the PIC device with transitions between them that are low loss and very low optical reflections. This can be accomplished in a well controlled CMOS based Silicon Photonics Foundry that includes heterogeneous integration in order to meet the performance requirements of the individual devices. These integrated component technologies are described on the following pages of this website.